When your car breaks down, the first thing you have in mind is to find a reputable auto repair shop that can give you a fairly deal. 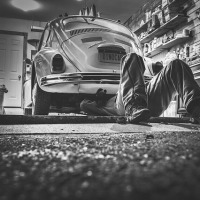 But with a lot of auto repair business firms today, choosing one is a challenging task, here we prepare the top 10 tips for choosing the right auto repair shop that helps. It has been said that one of the best advertising methods is the “word of mouth” wherein you often heard suggestions from friend’s family and neighbors who happened to have experience with that particular shop. Gather more information such as its length of service, customer’s feedbacks, and contact number prior to your car’s breakdown. The National Institute for Automobile Service Excellence encouraged every professional to acquire its training and get certificates. This certificate indicates that the employee of a particular auto shop is knowledgeable about specific aspects of your automobile. Feel free to verify their qualification to do repair and maintenance. Cars today are extremely becoming complex in line with its machine and unique characteristics. That is why it is essential to look for a skilled mechanic, someone reliable and well experienced in diagnosing the problem and renders that best repair solution. A technician from the dealership is a well-trained specialist and usually work exclusively for your automobile make. However, this doesn’t mean that independent auto repair services are not competitive enough as they also have trained and talented mechanics. Bringing along your car records is an advantage this is where to find information quickly and help a lot when a diagnosis of the car is needed. Check if your car is under warranty, rules and regulations will vary depending on your dealer or company. Usually, car dealers directed its specific auto shop. Dealing with other shops may violate or void your warranty but if you are not certain about this, contact your car agent or dealer for clarifications. Before you hand over your car key to an auto repair shop be sure that you know the labor cost. Some auto shop charges depend on your car’s issues, if you find it expensive, ask for discounts or ask questions to understand what you are paying for. Bringing your car to the auto shop normally requires parts replacement. Request for OEM parts rather than the generic because you can expect a good performance in terms of vehicle longevity. 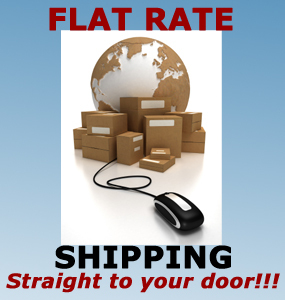 Most often than not, businesses have its own website. Take a few research and how they render its services towards their client by simply reading reviews or feedbacks from the page. You can find a lot of auto repair shops today even if you just search on the internet. Try to look around nearby, nearest auto shop brings you convenient and easy access. Are you still in search of auto shop and looking for vehicle parts? 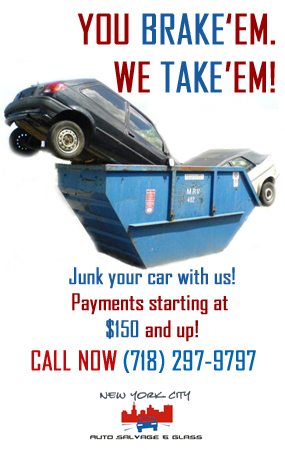 Visit New York City Auto Salvage & Glass or call us at (718) 297-9797 and we will give you a fair and best deal.